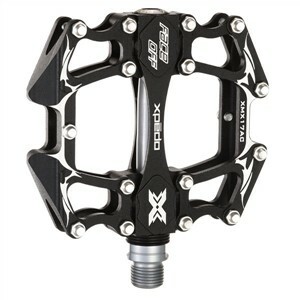 The Xpedo Face Off MX 17 MTB/BMX/Downhill Pedals, are a fine example of craftsmanship. Fitted with a CrMo spindle and a single sealed bearing, made from 6061 aluminium for lightness. 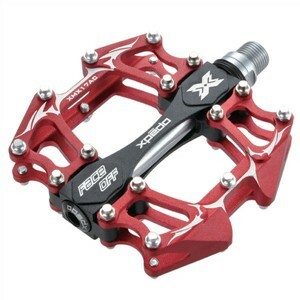 They have 15 pins per side, 30 per pedal providing that extra grip. Available in three colour options either, Black, Silver or Red. 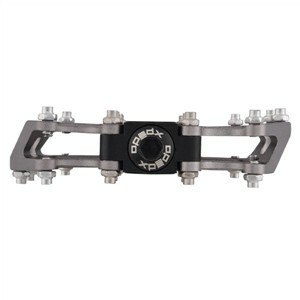 An exceptional pedal for riders on a limited budget that still require quality as well as practicality and strength. Please note that this product has a 7-day lead time.